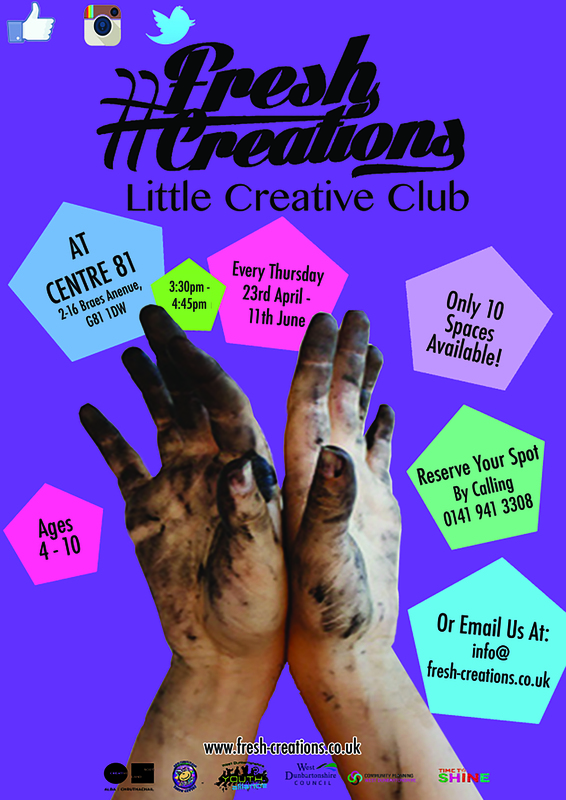 When: Every Thursday, 23rd April – 11th June 2015 at 3:30pm-4:45pm. This class is fully booked. Please check back to find out about future opportunities. Email us at info@fresh-creations.co.uk or call us at 0141 941 3308.